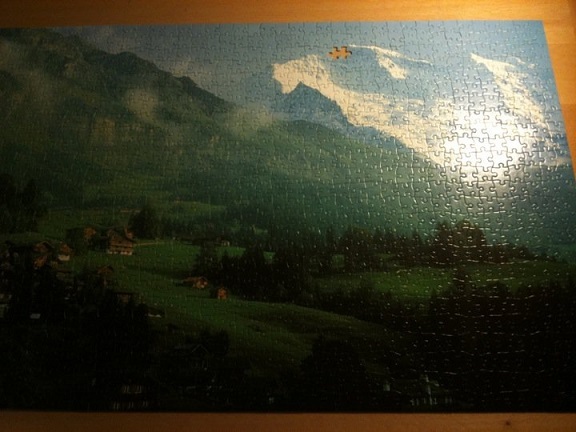 Jigsaw puzzles are fun to put together – until we get to that last puzzle piece and – Oh no! It’s missing. We can look all over the place, under the couch, behind the cabinet – we can wonder where in the world did we last see the piece. We can finally give up and just accept that the puzzle is what it is. Not quite complete. Our lives are not puzzles to be solved. We have no missing pieces. Our pictures are complete in every moment. Even when we feel like something is missing. That is just a part of our total picture. We are always whole and complete. Anything we feel is missing can be found by just opening our eyes and our hearts and dreaming it. We do not have to figure anything out. We just accept ourselves for who we are, right in this moment and we can clearly see our bigger picture. We accept everything we have manifested in our lives – everyone we have pulled toward us. Our pictures are complete. And what we feel is missing will manifest if we want it in our pictures. Our pictures are always changing – they are not still life pictures. It is a part of the beauty of our lives. Our lives are definitely not jigsaw puzzles. 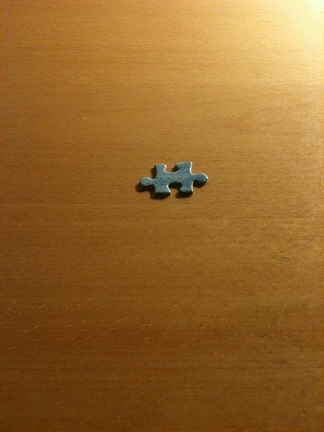 We can stop looking for the missing puzzle piece. I loved this one today! I think you may have something here!!! I wanted to share a poem I wrote long before I had as many followers… thought you might find it whimsical! Whoops… I forgot to attach the poem! I loved this post! I’m actually in an awesome transition in my life where I’m about to start work at what is essentially my dream job at this point in my life. As I was getting ready this morning I realized that I had sort of been putting off living, in a weird way, before that. I had this notion of what Iife would be like once… Well, I guess once I found that missing puzzle piece, but you’re right – it was never missing to begin with. Great analogy and very well said.